The Washington Mystics blew out the Los Angeles Sparks 96-64 in a single-elimination second round game at George Washington University’s Charles E. Smith Center Thursday night and will advance to the semifinal round versus the Atlanta Dream beginning on Sunday. The Mystics used a 15-2 run in the first quarter and never looked back. The home team took an 11 point lead at the end of the first quarter, and extended it to 21 points by halftime. The Mystics led 50-29 at the halftime break. “Obviously, we did a lot of things really well. We wanted to keep the pace of the game up. They like to play a lot slower; they like lower possession games. And then, you know, we preach all the time about there are three things we need to win playoff games. 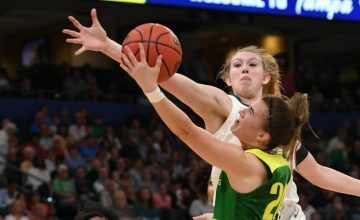 That’s turnovers, free throw difference, and rebounding, and we did all of those tonight besides shooting the ball well,” said Mystics head coach Mike Thibault. When play resumed in the third quarter, Thibault urged his team to keep on the pressure to take the quarter away from the visiting Sparks. His team responded by pushing the lead 75-46 by the end of the quarter. The deficit for the Sparks was then too great to overcome. “There’s a lot of things that didn’t go our way tonight. I thought our intent was good. I know that we really wanted to play well. We felt like we were familiar with what they were going to do but we just couldn’t get places as quickly as we wanted,” said Sparks head coach Brian Agler. 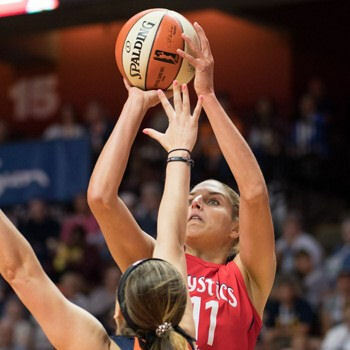 Mystics forward Elena Delle Donne scored 19 points and grabbed 12 rebounds, while center LaToya Sanders and forward Ariel Atkins each chipped in for 14 points. Six Mystics players were in double-digits scoring. Los Angeles was led by 16 points from center Candace Parker. The Sparks were hampered by forward Nneka Ogwumike and guard Chelsea Gray combining for 0-for-9 shooting in the first half. “This game is changing. I mean it’s quicker, it’s faster, it’s positionless. It’s different teams with different talent not able to do the same thing we did before. So I think those are our takeaways. My drive is just my teammates. I love them. I care about them. We spend a lot of time together so I’m excited for that. But I’m ready to get some rest. I’m tired as hell. I can say it now,” said Parker. The Mystics now head to Atlanta to begin a best-of-five semifinal series against the second seeded Dream at the McCamish Pavilion. Game 1 begins at 2 p.m. CT. The visiting Phoenix Mercury outlasted the fourth seeded Connecticut Sun in the other second round single-elimination game on Thursday night at Mohegan Sun Arena in front of an announced crowd of 7,858. The game featured 18 lead changes and seven ties, but it wasn’t until Mercury forward DeWanna Bonner scored a layup with 2:10 left in the fourth quarter before Phoenix was able to obtain separation. Bonner’s layup began a 10-0 run which closed out the game. “Tonight, I thought we did a ton of good things and out ourselves in position at halftime to be able to pull out this game. We knew coming out of halftime that there was going to be a heavy dose of Brittney Griner in the second half. 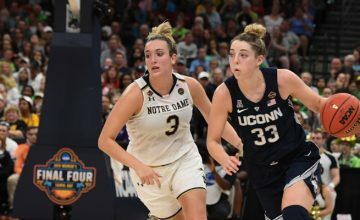 They made some adjustments and we had to change our coverage and looks on Brittney, but 34 points in the paint and a 56 point half for them, we could not find a way to disrupt them,” said Connecticut head coach Curt Miller. “They did what they needed to do and we did not make the same plays they did down the stretch and we have to give them credit for that. That being said, this core group has had a great year, they’re under contract. We are going to have the majority of the team back next season and we think we are building something very special. While we thought we could win it all this year, we are going to be even hungrier as we move forward,” Miller added. 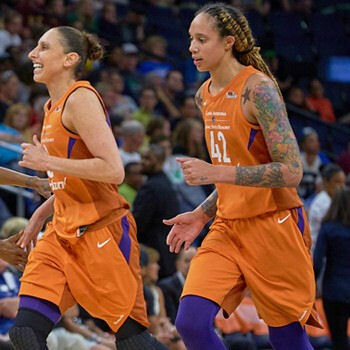 Phoenix’s “Big Three” trio of Bonner (23), guard Diana Taurasi (27) and center Brittney Griner (27), combined for 30 made field goals and 77 points in the effort. “Obviously a very satisfying win. This is a very good team out there and as you saw the result came down to the end, but in the last two minutes our experience showed and we did a much better job of executing what we wanted to do and made it harder for them to get wide open looks. Very happy to be moving on and getting into a five game series,” said Mercury head coach Sandy Brondello. Sun guard Courtney Williams had 27 points and eight rebounds, while forward Alyssa Thomas added 17, guard Jasmine Thomas pitched in for 14, and center Jonquel Jones contributed 13 points, seven rebounds and seven assists in the effort. “It is very frustrating. Playing as hard as we were playing and coming up short again against the same team is frustrating, but we have to take it for what it is. 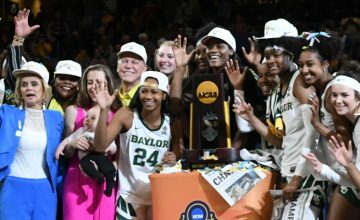 We need to watch more film like Jazz [Jasmine Thomas] said, get better in the offseason and come back as a stronger team,” said Williams. The game was Taurasi’s 13th elimination game in her WNBA career, where she is undefeated. She holds a 35-1 elimination game record dating back to college. “A lot of it is luck [and] a lot of it is having great teammates. You don’t do it alone in this sport. You have to rely on your teammates and your coaches,” said Taurasi. 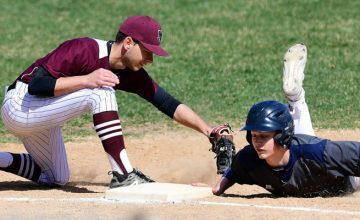 “We relish these moments where it’s up to you if you want to keep playing. Do you want to come back tomorrow, go to Seattle and play the best team in the league? You get to make that decision and I have been really lucky to have great teammates,” said Taurasi. The Mercury travel to Seattle to play the top seeded Storm in a best of five semifinal series that starts Sunday at 4 p.m. CT.